Recombinant Media Labs (RML), CineChamber (2009-2012). 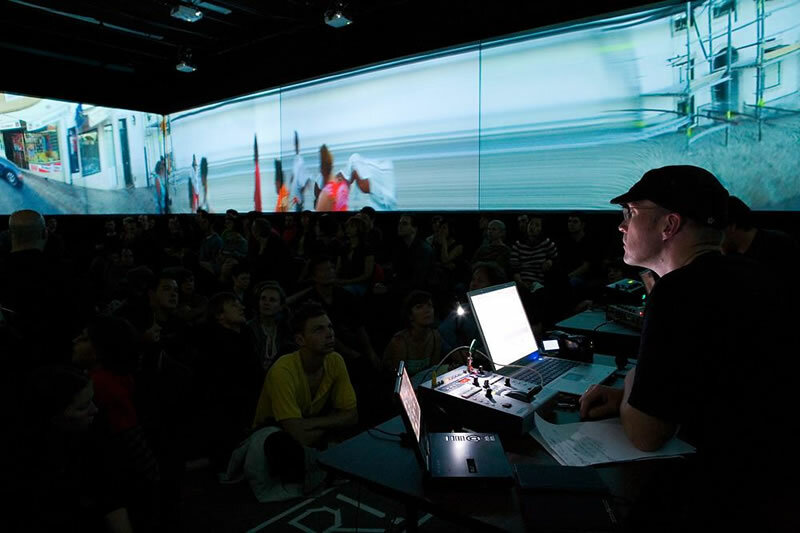 Performance by Biosphere and Egbert Mittelstaedt (2011). Performance by Skoltz_Kolgen, Flüux:/Terminal (2004-2011). 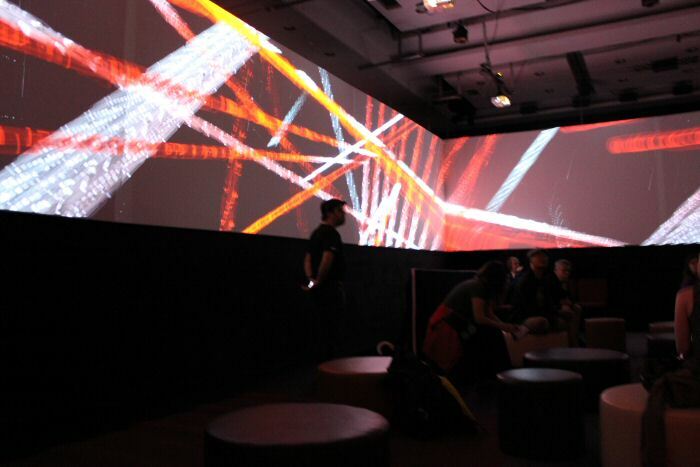 CineChamber at Excentris during the MUTEK festival (2012). 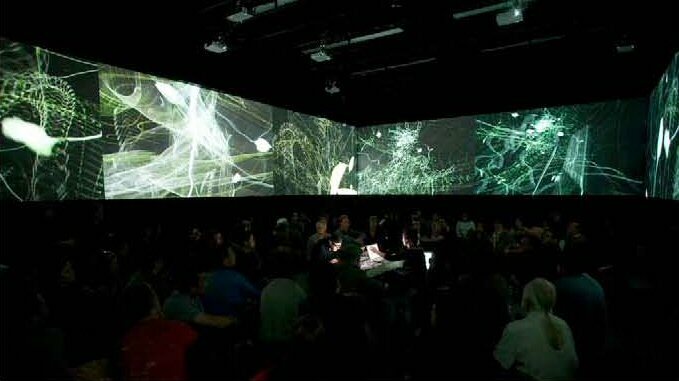 The CineChamber is a 10-screen installation lab site for trailblazing panoramic performance, built by Recombinant Media Labs (RML). It's a large but intimate rectangular surround surface apparatus, capable of scaling its 8 by 12 meter proportions to fit into the auditoriums, theatre stages and concert halls everywhere on the global circuit. Although one can walk around the flexibly adjoined screen structures and observe the content externally, the main attraction lies within the spacious windows on the world interior, encompassed on all sides by the multichannel audio and image displays in customizable formations. The CineChamber platform offers extensive interdisciplinary staging opportunities and can be utilized by composers, engineers and innovators in a variety of ways for panoramic performance programs, interactive installation, live music, chartered exhibition screenings, conferences and educational workshops. It provides international artists the opportunity to take their creative impulse to the furthest frontiers of aural, optical and cinematic language, and propagates them in a comprehensive and rarefied environment. 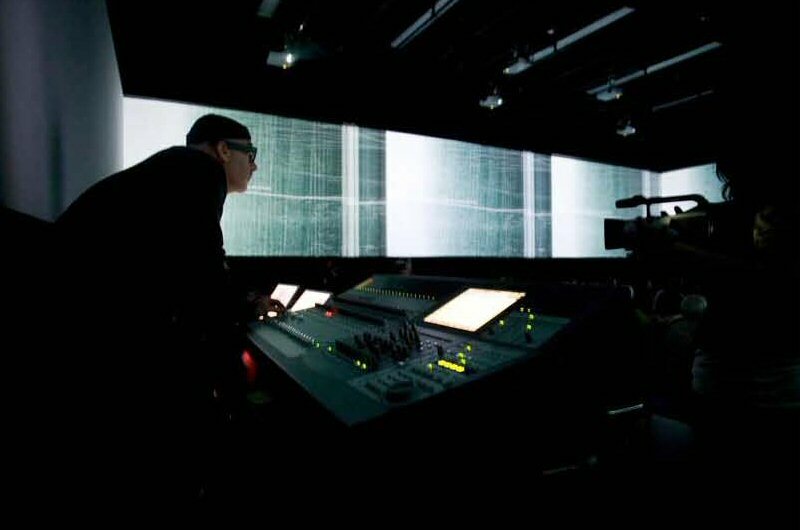 Numerous renowned artists have created modules for the CineChamber. The RML CineChamber has generated worldwide interest as a place for artistic and academic residencies. 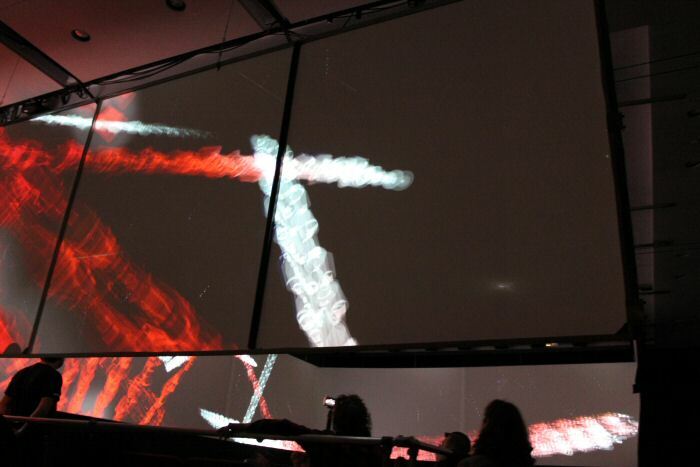 It was shown in 2011 at the CTM festival in Berlin (Germany), MusikProtokoll in Graz (Austria) and CynetArt in Dresden (Germany). This advanced accommodation enables artists in residence to fully experiment with the latest audio, visual and interactive technologies. MUTEK and the Daniel Langlois Foundation for Art, Science, and Technology were honoured to present the North American festival debut of CineChamber, from May 22 to June 3, 2012 at Excentris (Montreal) in the context of the 13th edition of the MUTEK festival. Recombinant Media Labs (RML) was founded in 1991 by Naut Humon to research the qualities and artistic potential of spatial media.